J Street proved to be a woefully inadequate ally in the Obama administration's efforts to strong-arm Israel. At the end of 2017, the far-left Jewish advocacy group J Street will celebrate its 10th anniversary. At its inception, J Street promised to be the first political movement "to explicitly promote American leadership to resolve the Israeli-Palestinian conflict." However, the organization's pursuit of this goal was an abject and damning failure. Circumstances couldn't have been more amenable toward J Street's lofty goal. Within 14 months of J Street's inception, Barack Obama swept to power in elections that also left both houses of Congress controlled by Democrats. As president, Obama's approach to the Israeli-Palestinian conflict was groundbreaking in many ways, deviating from the positions and tone of his predecessors, both Republican and Democrat. J Street backed this shift with political cover, campaign donations, and organizational unanimity, providing a convenient panacea to American Jewish community outrage over Obama's maneuvers. The fledgling J Street found itself at the top table with veteran Jewish and pro-Israel organizations at the White House, with almost unprecedented access during Obama's two terms. J Street touted itself as a vital part of the Obama administration's Israeli-Palestinian policy. It wasn't merely a spectator: J Street saw itself as a vital part of the administration's strategy and policy on Israel and the peace process. It prided itself on the puppeteer role it played in defending the White House or pushing its policy platform. "We were the blocking-back, clearing space for the quarterback to do what we wanted him to do," said J Street's president, Jeremy Ben-Ami, in 2011. He added, Obama "hasn't been able to push as aggressively as we would like," and J Street has "switched from being out front and clearing the way, to pushing him to do something more." Something more turned out to be a lot less. During the full eight years of the Obama administration, which set as one of its foreign policy goals a peaceful resolution to the Israel-Palestinian conflict, Israeli Prime Minister Benjamin Netanyahu and Palestinian Authority President Mahmoud Abbas never sat in the same room for more than a few hours in total. 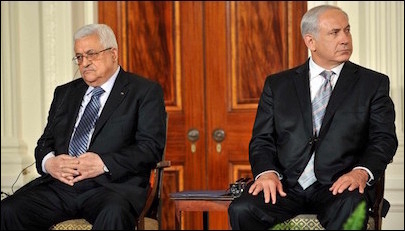 Israeli Prime Minister Benjamin Netanyahu and Palestinian Authority President Mahmoud Abbas sat in the same room for no more than a few hours during the entire Obama presidency. While Netanyahu constantly repeated that he was willing to meet with the Palestinian leader at any place at any time, with no preconditions, Abbas made a series of impossible preconditions that pushed meaningful negotiations further and further away. J Street ended up blaming Netanyahu for Abbas's intransigence. Mutual distrust between the parties may not have been greater in a generation, and it could be argued that peace is as far away as it has been since the Oslo Peace Process began. J Street's continued criticism of the Israeli government created a pseudo-Zionist political shield on the Jewish community's left flank that the Obama administration used to blame Israel for actions largely caused by Palestinian obstinacy. For eight years J Street supported Obama's destructive policies toward Israel like the unilateral settlement freeze, nuclear détente with Iran, and his allowance for international condemnation of Israeli communities in the West Bank. As a group that prided itself on its ability to make its voice heard in the American administration's halls of power, J Street's inability to influence must take a very heavy responsibility for the remission of the peace process. Moreover, in its unrelenting vision of itself as chartering new territory, it lost many ideological allies. J Street President Jeremy Ben-Ami's efforts to conjure support for Obama's treatment of Israel fell flat even among Democrats. At the end of 2008, when Israel decided to defend itself against incessant rocket attacks from the terrorist organization Hamas in the Gaza Strip, J Street attacked Israel's defensive actions. Rabbi Eric Yoffie, president emeritus of the Union for Reform Judaism, called J Street's reaction to Israeli policy "morally deficient, profoundly out of touch with Jewish sentiment and also appallingly naïve." In 2009, J Street initially tried to facilitate meetings between Richard Goldstone, lead author of a slanderous report on Israel's war on terror in Gaza, and members of Congress. In 2011, when it appeared to advocate for the U.S. not to veto a deeply problematic UN resolution condemning Israel, supporters like Democratic Congressman Gary Ackerman of New York cut ties with the organization. 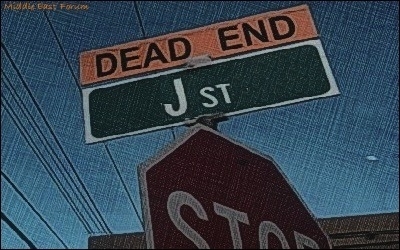 J Street also placed itself out of mainstream pro-Israel circles when it invited prominent activists in the Boycott, Divestment, Sanctions (BDS) movement to its conferences and claimed that George Soros had not funded the organization until it became a matter of public record that he had in fact provided significant donations, especially during its formative years. All of these hits have left the reputations of J Street and its combative president battered and bruised. However, the latest election results have delivered the knock-out punch. J Street has come to be vilified by former friends and distanced from the Left in Israel. If perhaps the only selling point J Street could offer its potential donors in recent years has been largely unfettered (if squandered and ineffective) access to the White House, this will now be completely removed from the equation by the victory of Donald Trump and continued Republican control of both houses of Congress. J Street has now become an organization vilified by former friends, distanced from the Left in Israel, and distrusted by many more. It may reconstitute itself in some constellation or another, but its heyday has passed. 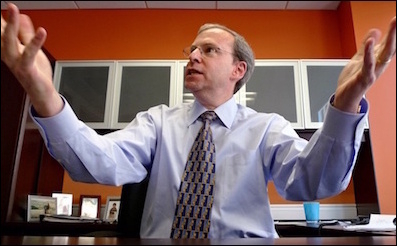 Gregg Roman is director of the Middle East Forum, a research center headquartered in Philadelphia.